Working in an IT firm, I had decided to pursue MBA after 2 years of work experience and had started my preparation for MBA entrance exam CAT (Common Admission Test). My initial 6 months of training in the company Cognizant Technology Solutions (CTS) took place in Pune, that is when I joined the coaching institute T.I.M.E for guiding me through the preparation of entrance exams for MBA and also support me with the study material. I had opted for the weekend batch. In the IT sector, there is no fixed time for leaving the office, and work pressure vary daily, thereby coming up with coaching centres’ time is not possible on weekdays. After a hectic week from Monday to Friday, I used to wake up at 6.30 am in the morning to reach at 8.00 am into the class, almost 12-15 km far from my PG. This continued for about 8 months before I was relocated to Bangalore by the company for the project I was currently working in. Gaining a better opportunity to work in Bangalore which is the IT hub of India, I did not resist and shifted soon to the busiest and bustling Silicon Valley of India. The massive distances and the traffic at its bottleneck in Bangalore made life a bit more frantic. It took me more than an hour to cross the hurdling traffic and reach that standing high tall tower of Cognizant in an enormous tech park amidst a cluster of high rise buildings of IT firms. I used to arrive back my PG sometimes late in the night after 9 pm. I continued with my coaching classes in T.I.M.E in weekend batch, but the institute was again 15 km far from my PG. After travelling 15 km daily, I used to be exhausted for the weekend classes and was not able to attend all the levels. I utilized that time appropriately for self-studies. Last few days before CAT exam, I had applied for the preparatory leave from the office and started preparing myself for the exam. Here are 5 ways that can help you guide during the last 10 days of preparation before CAT exam. Set a timetable for entire 10 days and adhere strictly to the deadlines. One needs to follow a strict schedule and prepare with a relaxed state of mind. Give mock tests on alternate days at an entire stretch of 3 hours in the morning. Analyze your paper and solve the non-attempted as well as the incorrectly answered questions on the same evening. Analyze it regarding all sections, score and time took to address each type of problem. Improve the speed and keep revising your strategy to increase the number of attempts and reduce the time invested in attempting wrong questions. Remaining alternate days focus on your weaker areas and pain points that need more practice and revision. Focus on each of the four sections in a topic rational manner. 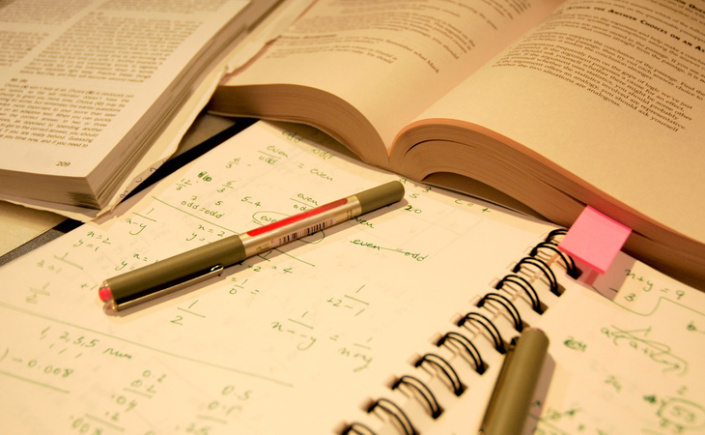 Avoid studying anything on the day mock test is planned, as it will exhaust the aspirant and diminish his focus. Be thorough with the formulas of Quant and specific tactics of solving numerically. Revise the particular set of words for improving vocabulary. Since there are infinite words to prepare, keep certain words highlighted that you can glance during these days and try to memorize the meanings of the words from its base word. This would help in identifying the meaning of new words as well. Read the newspaper and keep yourself updated with General Awareness on a daily basis without fail. Many of the MBA exams other than CAT include a section of General Awareness and General Knowledge. Last but not least, take proper sleep and engage in any physical exercise every day to keep the mind healthy. Most of the students score lesser in such exams out of nervousness and instability. Therefore, to stay mentally fit one must maintain a calm composure, positive attitude, and a healthy mind. This helped me score 92 percentile in CAT exam, 2017 and got admitted into K J Somaiya Institute of Management Studies and Research, Mumbai. Shreya Matta is an MBA student at KJ Somaiya Institute of Management Studies and Research (SIMSR). She is a member of the Admissions Committee (AdCom) of SIMSR. She is a graduate in Electronics and Communication Engineering and has a work experience of 2 years in Cognizant Technology Solutions. Thank you so much for the support. I’m a final year student and really getting tensed for my upcoming management entrance exams as well as I’ve to ace my final year exam also. Thankyou for appreciating the relevance of the article and hope it helps you. I was in a similar situation as I appeared along with my job. I would only suggest that rather than being nervous …stay calm and put in your hard work on the pain points for fixed number of hours rather than exhausting your mind for entire day. Be free for any other queries. Ma’am which college you passed out from….? I am currently pursuing my MBA from K J Somaiya Institute of Management Studies and Research (Simsr), Mumbai. Thank u so much mam. I am really worried about my cat exam will going it be good or not but ur article is really amazing. Thank you for the praise and I hope this article helps you. Stay calm and be positive while preparing for your exams. All the best. Mock series are generally quite tougher than the actual exams, so do not rely on their scores but keep attempting to gain an idea of your strengths and weak points. Focus more in the area you take more time to solve or you answer incorrectly. Focus on increasing speed and number of correct attempts rather than getting demoralized by low scores. but main problem is that i am making a silly mistake while attempting the questions.I know this fact but still mind gives me thoughts…. how to deal with this….